Part of Patch #342. Standardized exits from Little Rumble House (navar_city/houses/littlerumblehouse) in Navar. Part of Patch #342. Standardized exits from Jeb's House (navar_city/houses/jebshouse) in Navar. Part of Patch #342. Standardized exits from Ian's House (navar_city/houses/ianshouse) in Navar. Part of Patch #342. Standardized exits from Han's Hut (navar_city/houses/hanshut) in Navar. Part of Patch #342. Standardized exits from Eli's House (navar_city/houses/elishouse) in Navar. Part of Patch #342. Standardized exits from Dorgan's House (navar_city/houses/dorganshouse) in Navar. Part of Patch #342. Standardized exits from Meeting House (navar_city/houses/meetinghouse) in Navar. Part of Patch #342. Standardized exits from Rudy's Cottage (navar_city/houses/rudyscottage) in Navar. Part of Patch #342. Ben's Message File (navar_city/houses/ben.msg) gave 'ok' as a suggested reply, but then only listed for 'yes' to finish the quest, he now listens for 'ok' instead. Part of Patch #342. Standardized exits from Ava's House (navar_city/houses/avashouse) in Navar. Part of Patch #342. Standardized exits to Ben's Cottage (navar_city/houses/benscottage) in Navar. Remove weather settings from Meeting House (navar_city/houses/meetinghouse) in Navar. Technical change - no function changes. Not even sure how those settings were activated on the map. Cosmetic and layout changes to Turl's Small House (navar_city/houses/turlssmallhouse) in Navar. Enlarged the map to include area surrounding the house, made the house larger with a room and some windows. Updated world map (world/world_121_116) for map entrance coordinate changes. Update file name typo for Traveller's Wayhouse (travellorswayhouse -> travellerswayhouse) in Navar. Updated world map (world/world_122_117) to reflect file name change. Cosmetic and layout changes to Traveller's Wayhouse (travellorswayhouse) in Navar. Enlarged the map to include the area surrounding the house, made the house larger with a couple of rooms and windows. Updated world map (world/world_122_117) for map entrance coordinate changes. Cosmetic and layout changes to Wise House (navar_city/houses/wisehouse) in Navar. Enlarged the map to include the area surrounding the cabin, made the house larger with a couple of rooms and windows. Updated world map (world/world_121_117) for map entrance coordinate changes. Cosmetic and layout changes to Todd's Cabin (navar_city/houses/toddscabin) in Navar. Enlarged the map to include the area surrounding the cabin, made the cabin larger with a couple of rooms and windows. Updated world map (world/world_121_116) for map entrance coordinate changes. Cosmetic and layout changes to Strom's Small House (navar_city/houses/stromssmallhouse) in Navar. Enlarged the map to include the area surrounding the house, made the house larger with a couple of rooms and windows. Updated world map (world/world_121_116) for map entrance coordinate changes. Cosmetic and layout changes to Smokey House (navar_city/houses/smokeyhouse) in Navar. Enlarged the map to include the area surrounding the house, made the house larger and with windows. Updated world map (world/world_121_117) for map entrance coordinate changes. Cosmetic and layout changes to Rundown House (navar_city/houses/rundownhouse) in Navar. Enlarged the map to include the area surrounding the house, made the house larger with a couple of rooms and windows. Updated world map (world/world_121_117) for map entrance coordinate changes. Cosmetic and layout changes to Rudy's Cottage (navar_city/houses/rudyscottage) in Navar. Enlarged the map to include area surrounding the house, made the cottage slightly larger. Updated world map (world/world_122_116) for map entrance coordinate changes. Cosmetic and layout changes to Raazle's Small House (navar_city/houses/raazlessmallhouse) in Navar. Enlarged the map to include area surrounding the house, added more furniture, made the house larger with rooms and windows. Updated world map (world/world_121_116) for map entrance coordinate changes. Cosmetic and layout changes to Occupied Cabin (navar_city/houses/occupiedcabin) in Navar. Enlarged the map to include area surrounding the house, added more furniture, made the house larger with rooms and windows. Updated world map (world/world_121_116) for map entrance coordinate changes. Cosmetic and layout changes to No. 4 Main St. (navar_city/houses/no4mainst) in Navar. Enlarged the map to include area surrounding the house, added more furniture, made the house larger with rooms and windows. Updated world map (world/world_121_116) for map entrance coordinate changes. Cosmetic and layout changes to Meeting House (navar_city/houses/meetinghouse) in Navar. Enlarged the map to include area surrounding the house, added more furniture, made the house larger with rooms and windows. Updated world map (world/world_122_116) for map entrance coordinate changes. Cosmetic and layout changes to Mason's House (navar_city/houses/masonshouse) in Navar. Enlarged the map to include area surrounding the house, added more furniture, made the house larger with rooms and windows. Updated world map (world/world_121_116) for map entrance coordinate changes. Cosmetic and layout changes to Little Rumble House (navar_city/houses/littlerumblehouse) in Navar. Enlarged the map to include area surrounding the house, made the house larger with windows. Updated world map (world/world_122_116) for map entrance coordinate changes. Cosmetic and layout changes to Kara's Small House (navar_city/houses/karassmallhouse) in Navar. Enlarged the map to include area surrounding the house, added more furniture, made the house larger with rooms and windows. Updated world map (world/world_121_116) for map entrance coordinate changes. Cosmetic and layout changes to Jordan's House (navar_city/houses/jordanshouse) in Navar. Enlarged the map to include area surrounding the house, added more furniture, made the house larger with rooms and windows. Updated world map (world/world_121_116) for map entrance coordinate changes. Cosmetic and layout changes to Jeb's House (navar_city/houses/jebshouse) in Navar. Enlarged the map to include area surrounding the house, added more furniture, made the house larger with rooms and windows. Updated world map (world/world_122_116) for map entrance coordinate changes. Cosmetic and layout changes to Ian's House (navar_city/houses/ianshouse) in Navar. Enlarged the map to include area surrounding the house, added more furniture, made the house larger with rooms and windows. Updated world map (world/world_122_116) for map entrance coordinate changes. 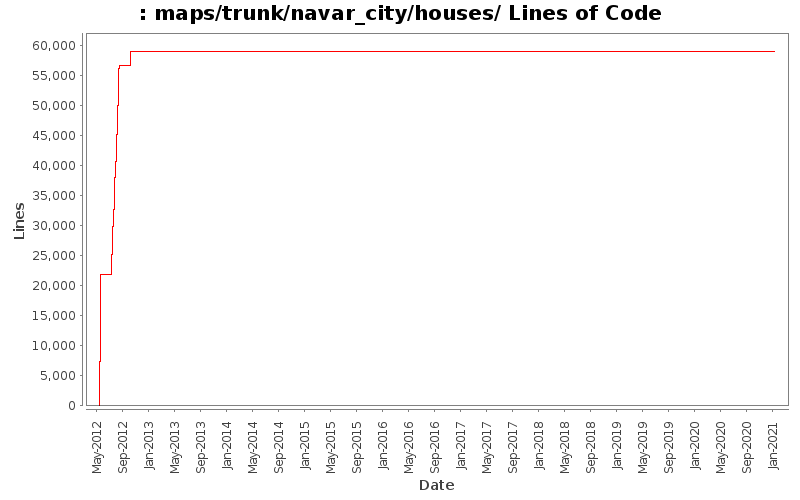 Cosmetic and layout changes to Hpuse of Gossip (navar_city/houses/houseofgossip) in Navar. Enlarged the map to include area surrounding the house, added more furniture, made the house larger with rooms and windows. Updated world map (world/world_122_117) for map entrance coordinate changes. Cosmetic and layout changes to Herber's Undertakers (navar_city/houses/herbertsundertakers) in Navar. Enlarged the map to include area surrounding the house, added more furniture, made the house larger with rooms and windows. Updated world map (world/world_121_117) for map entrance coordinate changes. Cosmetic and layout changes to Han's Hut (navar_city/houses/hanshut) in Navar. Enlarged the map to include area surrounding the hut, made the hut slightly larger with rooms and windows. Updated world map (world/world_122_116) for map entrance coordinate changes. Cosmetic and layout changes to Freddy's House (navar_city/houses/freddyshouse) in Navar. Enlarged the map to include area surrounding the house, made the house slightly larger with rooms and windows. Updated world map (world/world_121_117) for map entrance coordinate changes. Cosmetic and layout changes to Eli's House (navar_city/houses/elishouse) in Navar. Enlarged the map to include area surrounding the house, made the house slightly larger, created a couple of rooms and added some windows. Updated world map (world/world_122_116) for map entrance coordinate changes. Cosmetic and layout changes to Dorgan's House (navar_city/houses/dorganshouse) in Navar. Enlarged the map to include area surrounding the house, made the house slightly larger. Updated world map (world/world_122_116) for map entrance coordinate changes. Cosmetic and layout changes to Destitue House (navar_city/houses/destitutehouse) in Navar. Enlarged the map to include area surrounding the house, made the house larger, added rooms with furniture and included a few windows. Updated world map (world/world_121_117) for map entrance coordinate changes.